NeweggFlash has a The Original Dash Cam 4SK909X Twister X Dual Lens 1080p Dash Cam Sale, $29.99 Free Shipping. Expires: 9/26/2018 - $79 at amazon. It has not 1 but 2 720P HD lenses. It captures what the driver sees on the road and what is going on in the cab as well. 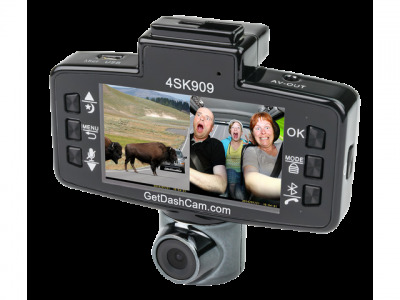 So never be without those memories from that road trip, have it documented with The Original Dash Cam Twister X.